There are several beautiful neighborhoods in the North East/North Central area of San Antonio TX. One such neighborhood is The Preserve at Indian Springs. The Preserve at Indian Springsis a semi-established neighborhood approximately 13 years old with homes built from about 2006 to the present. The neighborhood builders include Village Builders, Meritage Homes, Megatel and Chesmar Homes. The neighborhood is known for its gorgeous hill country views, plant life (in fact most of the street names are named after a native Texas Plant or Flower) and just an overall wonderful community feel. This wonderful San Antonio TX community has its own pool and park area and is located in the Comal School District. The elementary school is Indian Springs Elementary School,the Middle School is Pieper Ranch Middle School and the High School is Smithson Valley High School(same name, different schools). 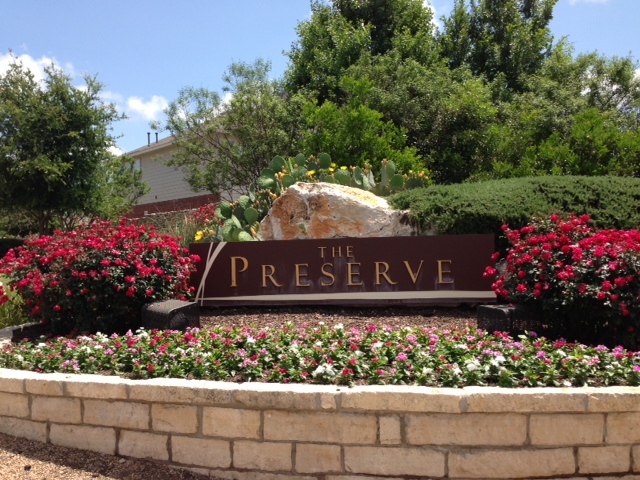 You will find the Preserve at Indian Springs off of Bulverde Road just past TPC Parkway.